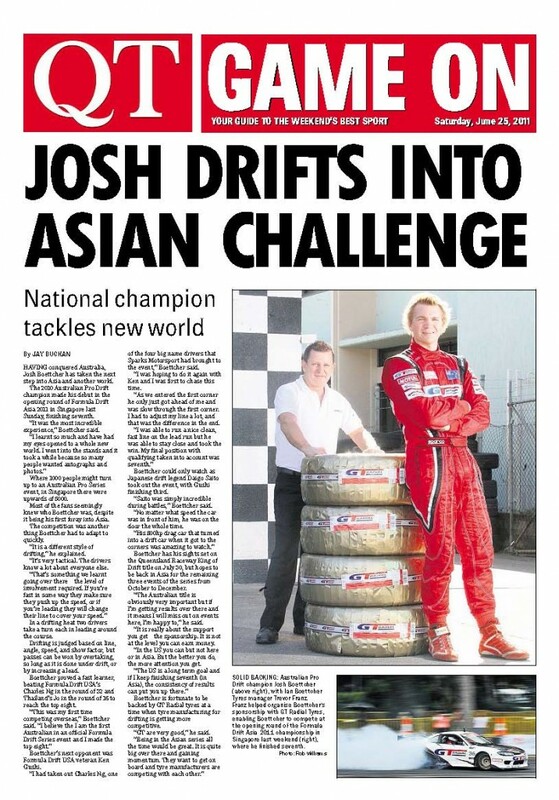 Newspaper Article: Formula Drift Asia write-up! Home » Newspaper Article: Formula Drift Asia write-up! Last Saturdays Queensland Times included this article on the front page of the sports section. It’s always great to get coverage in the papers! It includes a well deserved thank you GT Radial of course, and to Ian Boettcher Tyres and it’s manager Trevor Franz.